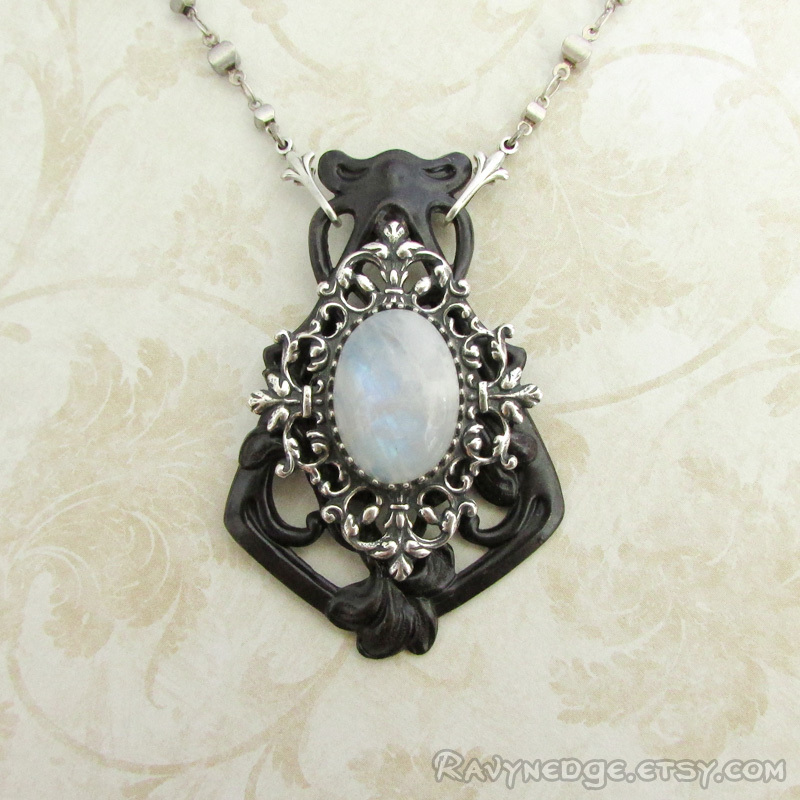 Luna's Majesty Necklace - Moonstone and Mixed Metal Pendant by RavynEdge. 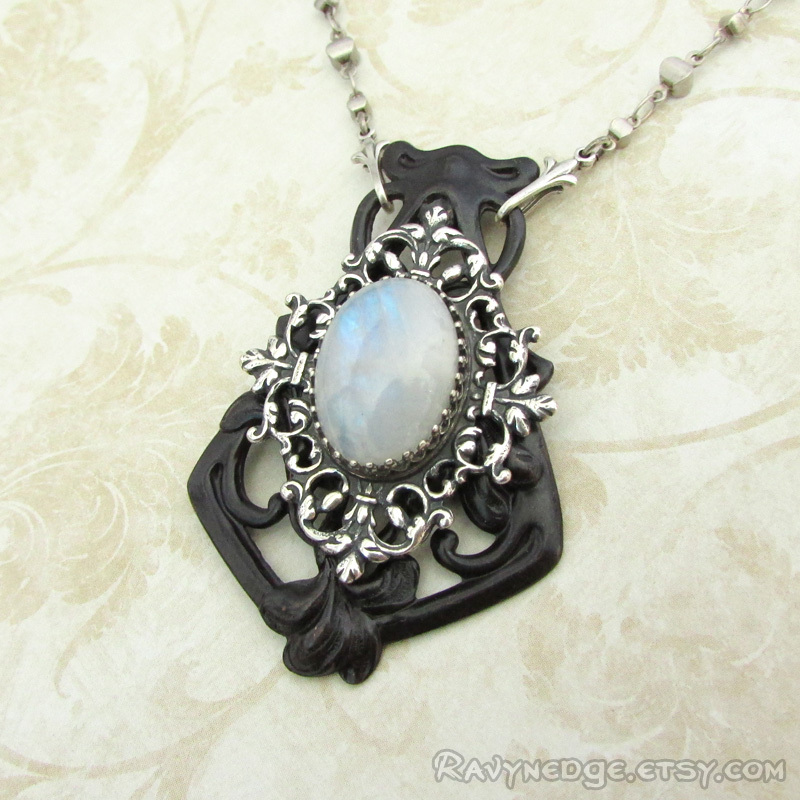 A flashy natural rainbow moonstone cabochon is set in the striking contrast of silver and black. 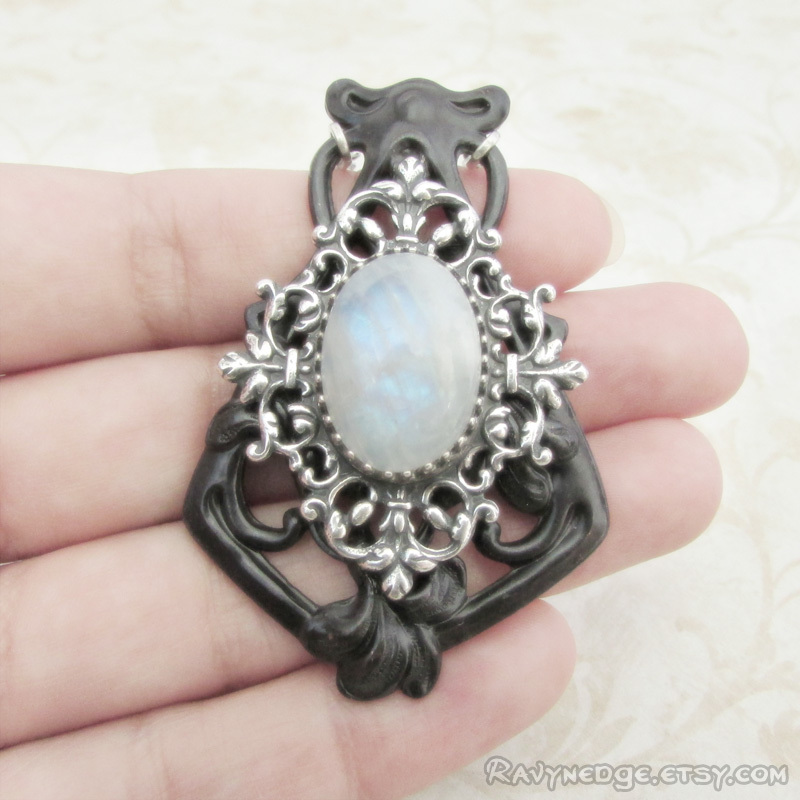 The pendant measures approximately 2.2 inches (56mm) tall and 1.5 inches (38mm) wide. 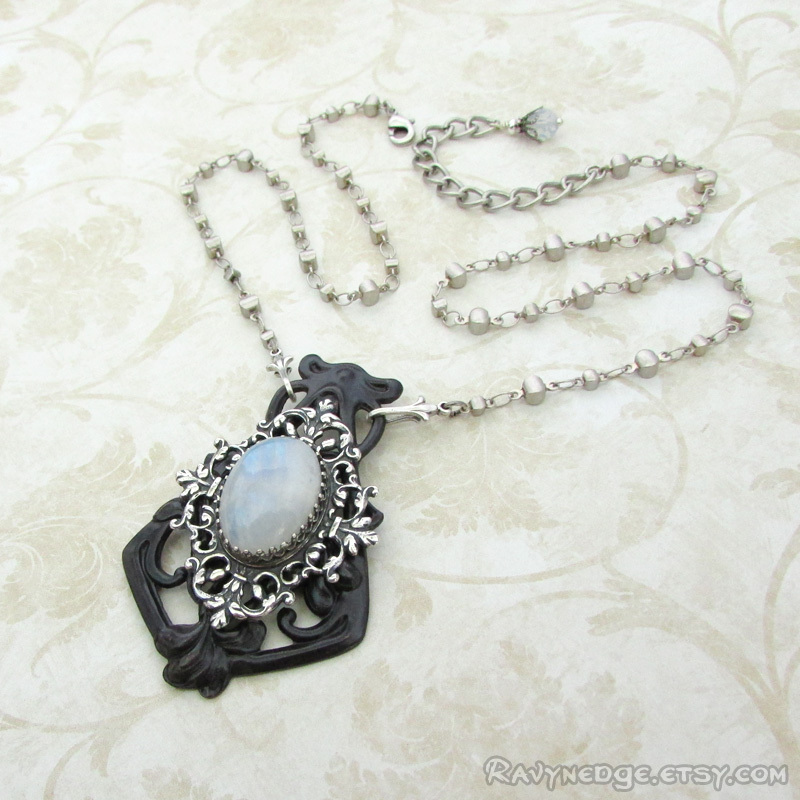 The decorative chain is sterling silver plated brass and the length is adjustable from 16 to 18 inches (40.6 to 45.7cm). Closes with a lobster clasp. A white opal Swarovski crystal dangle adorns the end of the chain. 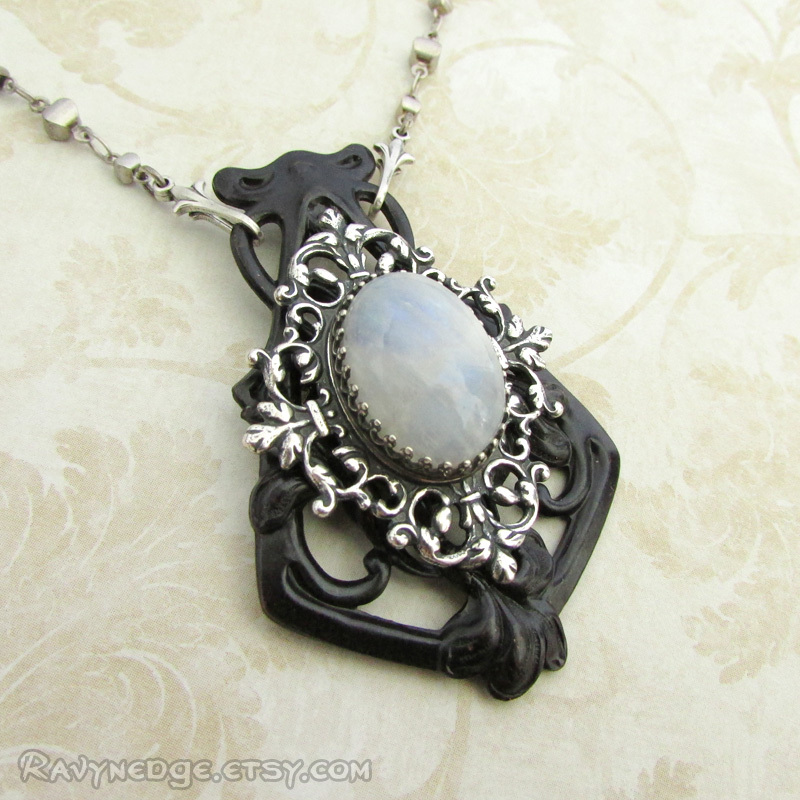 All metal is sterling silver plated brass or blackened brass with an oxidized finish to give that wonderfully romantic and gothic look with a vintage appeal. Nickel free and lead free.